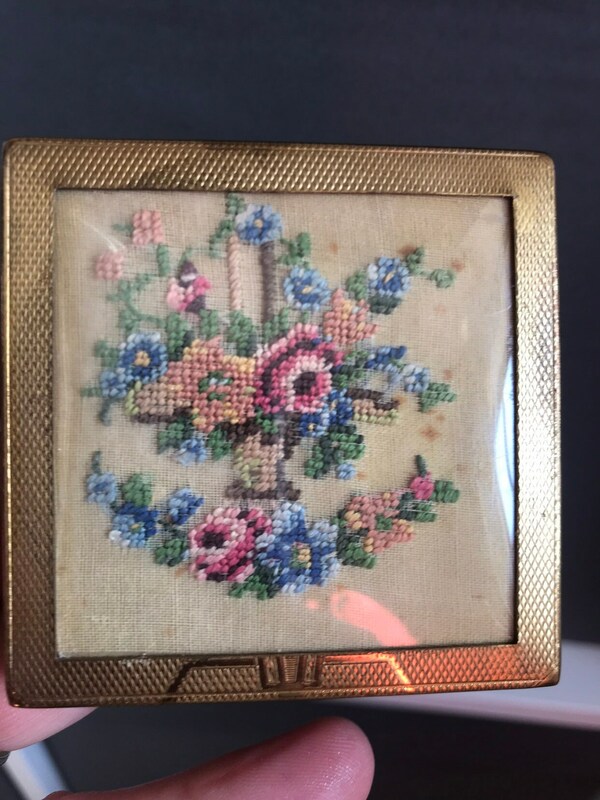 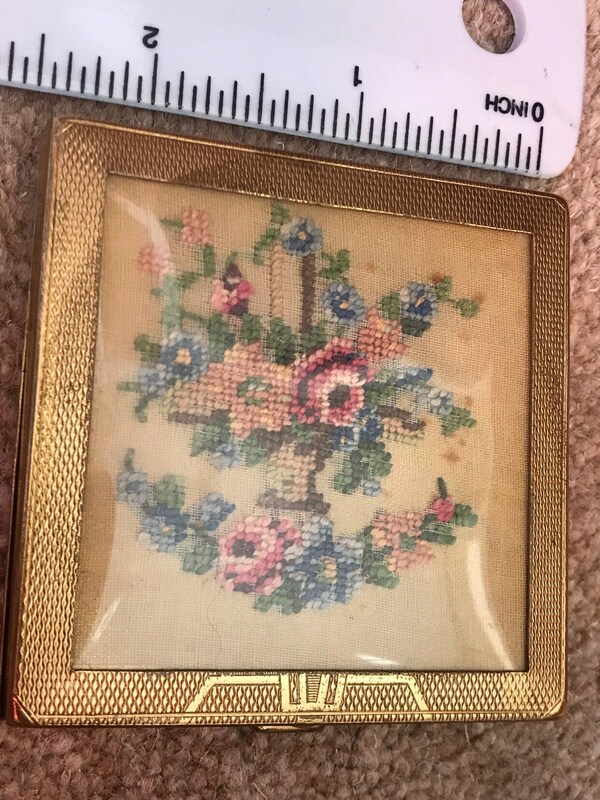 Here is a lovely vintage tapestry compact from the 1930s. 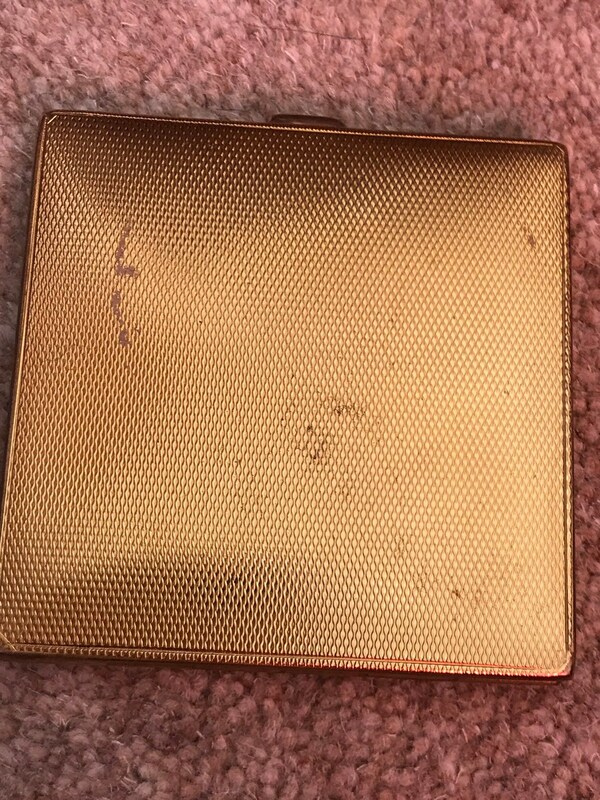 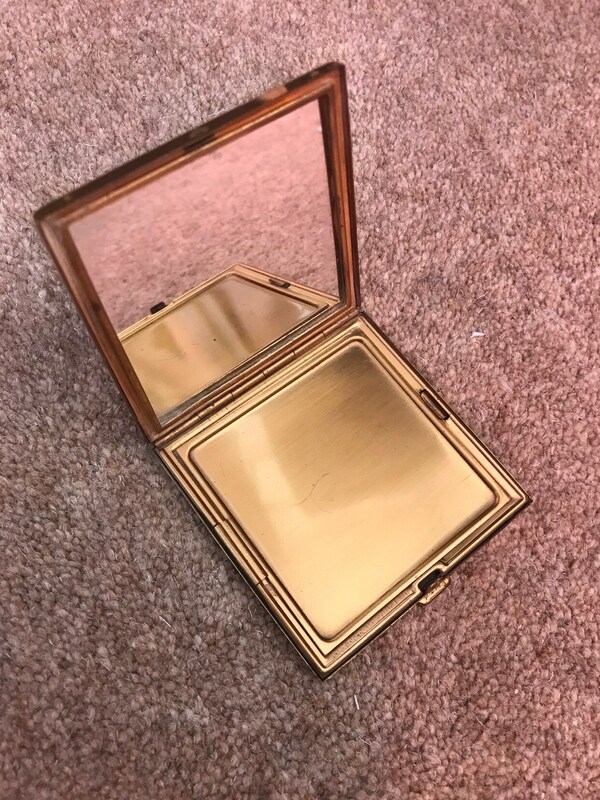 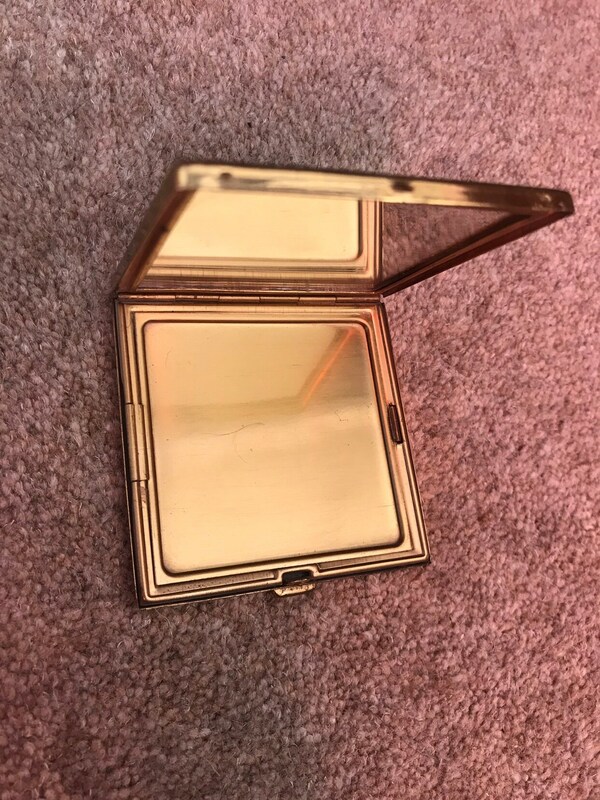 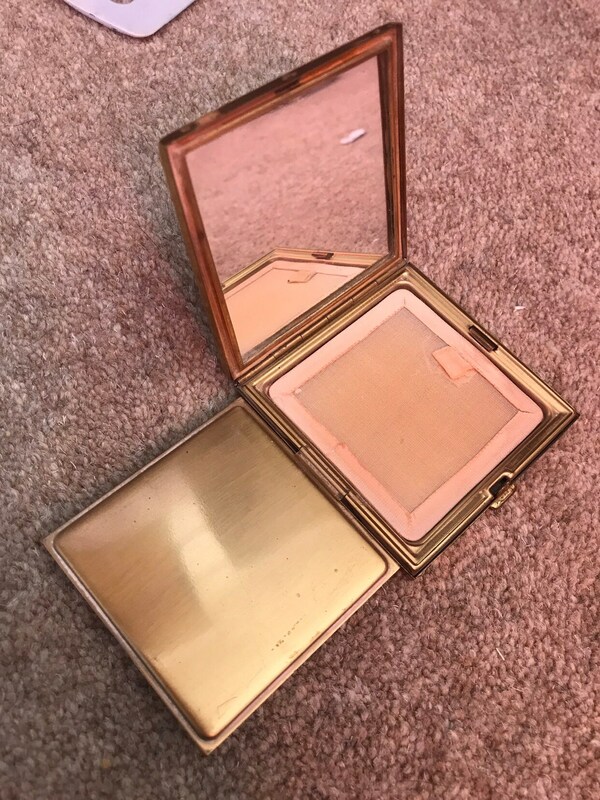 The gold tone metal has an Art Deco frame. 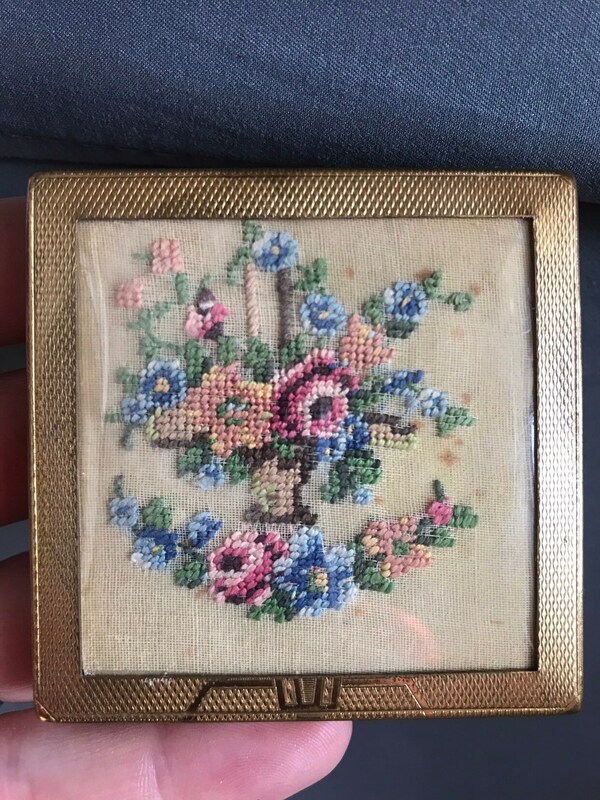 It measures 6cm square.it pieces remains in good condition with just a couple of marks.